It’s no secret- I love Gilmore Girls. I LOVE Gilmore Girls. I loved it when it was on TV. I loved it when I would watch my DVDs. I love it now that it is on Netflix. I hope to love it on DVD again (I let a friend borrow them… a few years ago… so…). I got SO EXCITED when I saw that Netflix is bringing Gilmore back! Those new 4 episodes will be amazing, I’m sure, and I can’t wait to see what all the Stars Hallow gang is up to! In light of that, I began thinking of what all the characters (major and minor ones) might be up to in 2016 (holy moly I’m not used to writing 2016 yet!) and let my imagination run wild. 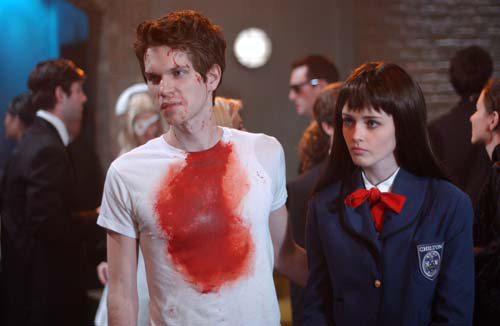 So without further ado, here is what I like to imagine happened to all of Rory’s boyfriends. Dean – Oh Dean. Your future is not so bright. After breaking up with Rory for a third time (outside of Richard and Emily’s male Yale party, remember? ), life was not kind to Dean. It wasn’t bad, just not awesome. He stuck around Stars Hallow for a little while (still living at his parent’s house and all) but he finally moved to the neighboring town of Woodbridge, where there seemed to be more opportunities for a young person who is kind of good at carpentry. He got super into Crossfit and has a man bun right now. He tried to rekindle things with Lindsay after a few years had gone by, and they were together for about 8 months, but she broke it off again when she realized he would never truly be over Rory. He is currently still single, but has “dated” every girl in his Crossfit box at least once. Jess – I say yes to the Jess! (Gilmore Guys reference there, for any other Gillies reading!) Jess lived in Philadelphia for a while, working for the small publishing group and continuing to write in his spare time. He has published a book of essays and a full-length novel, which became marginally popular and is currently being made into a movie. Jess eventually moved to New York City where one of his essays is being produced into a play (it’s off off Broadway- don’t worry, Jess did not sell out.) He sees Rory from time to time when she is in the city, and they always enjoy catching up as old friends. 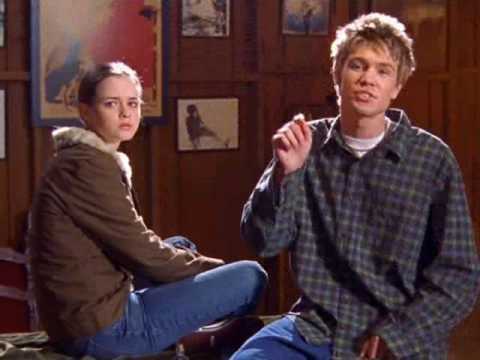 Marty – Marty decided that he needed to disappear for a while after being a shady shady dude and pretending like he didn’t know Rory and hadn’t been in love with her for basically 2 whole years. He graduated from Yale and moved to California where he got a job working in a coffee shop, always meaning to get another job, but still hasn’t even updated his resume. He saw a now-famous Lucy (she is an actress, obviously) when she came into his coffee shop, but he went to go hide in the back out of embarrassment. Poor Naked Guy. Logan – Logan won’t let a break up get him down! He did go to California like he planned, and had a fun time while there. He sold back the engagement ring and used that money to pay for a weekend in Vegas with Colin and Finn to drown his sorrows celebrate being a bachelor. He is rising in the ranks at his job and has merged his company with his family’s making himself a business tycoon. He has been engaged once, but called off the wedding when he realized that his bride-to-be was more interested in his family money than him. He is currently dating someone but has no desire to settle down for a while. 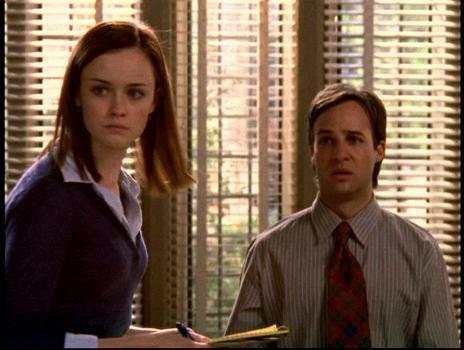 He keeps an eye out on Rory’s career (from a distance) and had someone offer her a job at one of his family papers in NYC. Trevor (that preppy guy that took her to that Italian restaurant with the urine mints) – Trevor went on with his life and had a hilarious anecdote about the most awkward date he had ever been on. He started dating another girl from that class and they got married right out of college. Good for Trevor. William (that laundry room guy who, as it turns out, was not telling a story about Rory) – William didn’t do so hot in Yale. He ended up dropping out at the end of freshman year, which he wasn’t super upset about because the actual girl from his story was still stalking him and it really freaked him out. Graham (that bar crawl guy that Emily saw in diapers as a baby) – He kept up his bar-crawling ways until a few years later, when he got in a car accident (he wasn’t drinking and driving, but he got hit by a drunk driver). This was a huge wake-up call and he became a believer while in the hospital. He started going to church and is now a youth pastor. Good turning your life around, Graham! Doyle – While Doyle and Rory weren’t actually interested in each other, he did awkwardly kiss her that one time and that means he gets added to this list. Doyle did follow Paris to her grad program and followed her again when it was time for her residency. They got married and Doyle likes to joke about that drunken kiss whenever Rory comes to visit them and their kids. (Paris does not like those jokes, tbh). 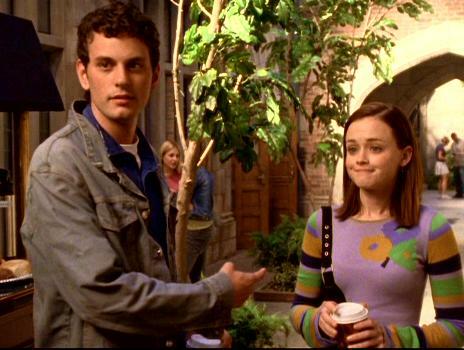 Tucker (that TA Rory had a crush on for half an episode) – Tucker continued to be a TA and eventually became a professor at Northwestern and honestly doesn’t remember Rory at all. Tristan – Military school was very good for Tristan. He shaped up and began to see the potential in him that Rory always knew was there. He went to college at Dartmouth and kept waiting for Rory to join Facebook so that he could send her a friend request. He finally tracked her down and sent a quick note to say thanks for believing in him, which she thought was very nice. Tristan got a job at his father’s company, lives in Connecticut, and married a nice society girl who is also in the DAR. He ran into Rory once when she was back in Hartford visiting her family and they said they would keep in touch. She gets a Christmas card from Tristan’s family every year, but that’s about it. Sean (The guy from the hotel during spring break) – He never sees Rory again, and that is totally fine. After spring break, he went back to his college in Kentucky, went to law school, and is looking to get into politics, although he probably won’t be very successful in that arena. Robert (Logan’s friend that took Rory to the Quentin Tarantino theme party) – Robert thought all of his dreams were going to come true. His parents died early (sad for them, but Robert was always kind of awful and didn’t mind) and left him all of their money, which he then blew through within 2 years on vacations and building a giant mansion. He now shares this giant mansion with 42 roommates just to pay the bills. Haha. I understand your logic completely. I didn’t like Jess for Rory at that time in their lives – I think his displeasure would ruin her spirit when she was young. But later, I could totally see them getting back together. But I’m also for Rory meeting someone completely new and different. A good guy who really deserves her, a bit of an introvert that would force her to be the spunky one to push him, someone Lorelai could really make fun of and love to bits. You had me at ‘I love Gilmore Girls’. Hello new blog friend! Hehe I can’t wait for more news about the Netflix episodes that are going to come out!